Today for a startup just having an idea is not enough, you need to reach out to your customers and social media is one of the choices. The choice turns into a must if your startup is an Internet based one. 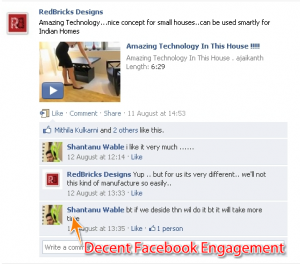 RedBricks Design is one such startup that is evolving in social media and specially in Facebook. RedBricks is a venture offering interior designing services and solutions for residence, commercial and hospitality sectors. 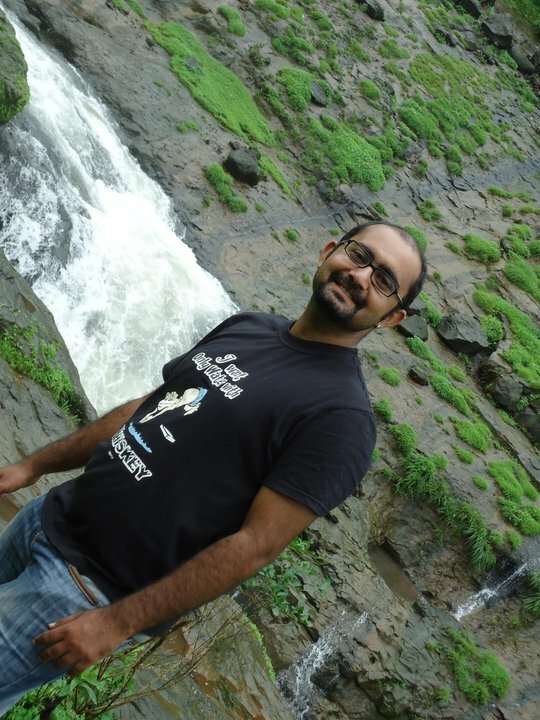 With the amazing business idea that Piyush May has for RedBricks, I had to review their Facebook presence for the moment. With a decent fan size of sixty-eight, I must say that RedBricks Designs has given a genuine start on Facebook. 1. The Info tab has the required details that a fan will look for. 2. The content that is being shared by RedBricks sticks to the objective of brand building as the talks are about designs, interior ideas, tips, etc. 3. RedBricks is also posting lovely videos about different interesting designs that is being appreciated by fans. With the existing work of community building on Facebook, Piyush has an awesome thought process for Facebook engagement too. He values the community engagement when compared to mere likes which is really awesome to listen. However, RedBricks can imbibe the below tips to help grow its community and increase its fan base. 1. The landing page is missing from the Facebook fan page of RedBricks Design. One can use free apps such as Pagemodo or use Photoshop to create a banner and upload it. Make sure that you also give reasons as in ‘WHY’ a fan should join your fan page and ‘WHAT’ is he going to get by joining it. Maybe you can provide free tips on home decor once a fan joins or a lovely video that will help him to design his room. So be creative and make use of the landing pages. 2. Being active on social media helps and Facebook is not an exception. Be real on your fan page and post regular helpful updates. However don’t go overboard otherwise you would be spamming someone’s personal time line. 3. The content that is shared is helpful and is also being appreciated. However, a variety in content can motivate fans to engage on the wall too. Maybe you can share your amazing knowledge about interiors, weekly tips of home decorations or office decorations etc. This will really help your fans and I am sure that will lead to the growth of your fan base. Finally, your fans are the best ones to tell you what they want so keep asking them. Simple and genuine way of keeping the community alive. 4. Use apps such as ‘Discussions’ and ‘Questions’ to increase the engagement with Fans. It would be great if you can start relevant discussions or ask questions on the designs you have shared. Entice your fans and if someone ‘Likes’ a particular thing make the discussion complete by asking his/her viewpoints. All these efforts are bound to be appreciated by your fans and will lead to positive word of mouth. 5. Appreciate your fans is a point that I make always. You can reward your fans who engage more on your wall. Doesn’t need to be a free coupon but a small thank you could also do. The point is to show that you respect your fans presence. 6. Start a small contest among your fans where you ask people to share designs if they have. Appreciate the good ones and provide help by providing your expert comments. This way you are giving enough reasons why fans should keep on coming and will lead to positive word of mouth. Community building on Facebook takes time but if done continuously by giving fans more reasons to be active then it won’t be that difficult. We wish Piyush and his RedBricks Design good luck and don’t forget to give a shout if you need any help.